If you’re in need of a new toilet installation, Sowers Plumbing will take care of it for you in a timely and competent manner. 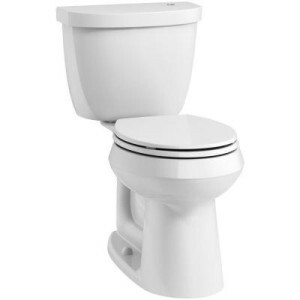 We ensure from start to finish that your new toilet installation is done smoothly and without mess. If you’re noticing a sort of a corrosion of the porcelain in your toilet or any kind of damage that makes it an eyesore in your bathroom, it’s time to find a plumber to install a new toilet. If you feel your toilet is outdated and just doesn’t quite fit the design of your bathroom, you’re probably going to need a plumber to install a new toilet. In any case, Sowers Plumbing is all over Guilford county and Rockingham county installing new toilets in your neighbors’ homes! We’re trusted and recommended across North Carolina in providing the best quality service in bathroom plumbing installation and repair. New toilet installation and toilet replacements can be a difficult and time-consuming task. Leave it to North Carolina’s favorite plumber to install your toilet and do it right the first time. We look forward to your call! We work all over Guilford and Rockingham county. Here are a few of the cities you might see us in frequently!